Gather round, friends, and I’ll tell you of a novel, a page-turning, furiously intelligent, unbelievably compelling, genre-smashing, heart-racing, super-exciting, crazily beautiful debut novel that a Brooklyn-based independent publisher brought out just about a year ago, to the furious excitement of readers, booksellers, librarians, reviewers, design hounds, alchemists, and, indeed, pasta chefs everywhere. 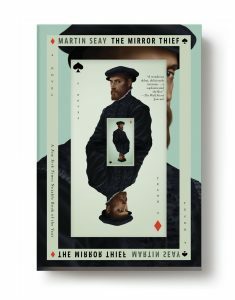 That novel was The Mirror Thief by Martin Seay. And today—as we celebrate its second birth, publishing it in nimble paperback form, with a gorgeous new cover—we thought we might revisit some of the steps it took along the way. In the faintest, earliest stirrings of the historical moment that would become The Mirror Thief, an earthling named Martin Seay was reading books. The books he read? Some in which “descriptions of landscapes gradually spell out a philosophical argument about the nature of the world.” Some that were “rooted in ideas about the ways our eyes do and don’t help us understand the world.” Click here to read Martin’s account of some of what he was looking at as The Mirror Thief coalesced. Our story begins in earnest during a long-forgotten historical epoch, known to chroniclers as “2002.” Back then, in a class taught by Richard Peabody, Martin received an assignment: to write a story “in which someone tells a story in which someone tells a story.” Click here to read Martin’s own account of how that humble homework assignment flowered into the majestic paperback we see before us today. That’s right, librarians were also excited about this book. I mean, of course they were. In May of 2016, with trembling hand, we who tread the Melvillean path published The Mirror Thief as a big, beautiful hardcover. And countless many wept before its splendor. Click here to grow bewitched by the prose of The Mirror Thief, again or for the first time. 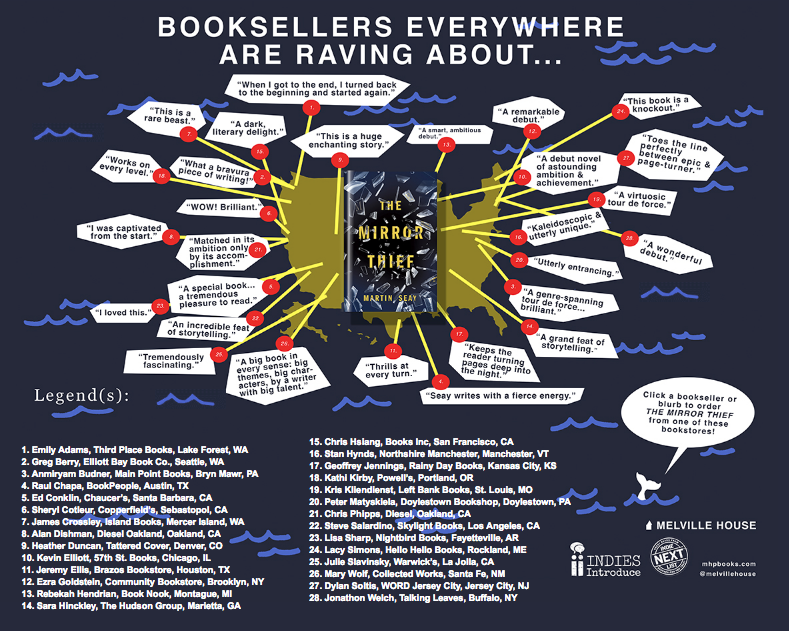 In the days and weeks after its release, the booksellers who had first loved and championed The Mirror Thief continued to sing their admiration. Can you hear them? Listen! Listen! The critical response was, to be honest, a little crazy. 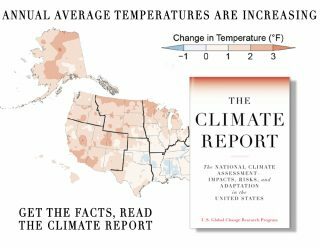 “It’s amazing,” the New York Times Book Review wrote. “How this book got published is a complete mystery to me. Not because it is not good enough, but rather because it is too good.” In the Wall Street Journal, Sam Sacks wrote, “Mr. Seay has conjured his own kind of sorcery, a sophisticated thriller that keeps the pages turning even as it teases the mind.” NPR called it “transfixing.” Electric Literature called it “a masterpiece.” That’s just for a start. Finally, as the winter that summer had grown into thawed into spring once again, we realized that The Mirror Thief had another turn to take. And so we cooked up one more delight: a paperback. Click here to see how it all happened. 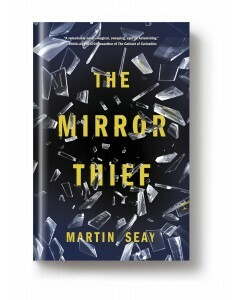 And that, dear friends, is the story of how, at long last, Martin Seay’s The Mirror Thief has become available as a paperback. 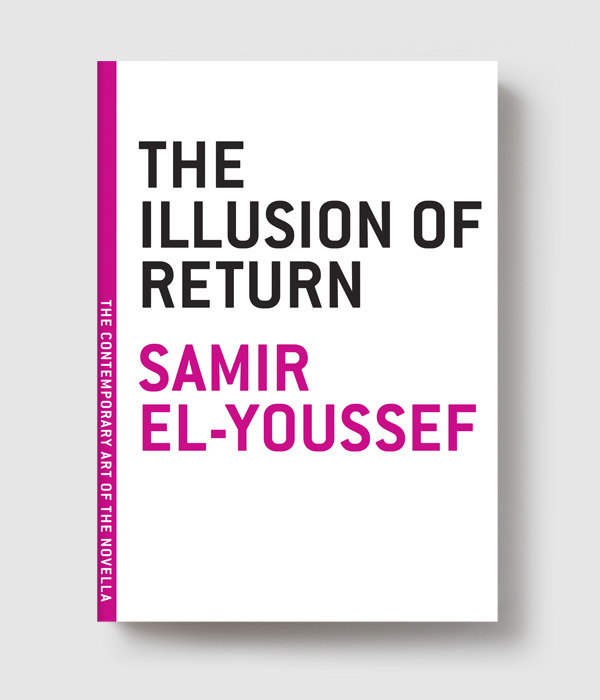 You can buy a copy from us, or from your independent local bookseller. But be sure to buy a copy. Reflections from AWP 2017: I mean, do you write?